Lash Society | Walk away elated with lush lashes. Walk away elated with lush lashes. We provide each client with a low-maintenance beauty routine, a simplified lifestyle, and a new definition of confidence. Opt to have crème de la crème in lash luxury. Silky lashes are soft durable and mimic natural lashes the best. A very pretty classic look. Two to four silk lash extensions are applied onto a single natural lash creating volume that is luxuriously soft, light and fluffy like a bunny. Say goodbye to uncomfortable and damaging eyelash curlers. A lash lift is performed to create a subtle, natural looking curl. Do you want to give lash extensions a break or simply want those super straight, unruly lashes to stay curled for weeks to come?. Lash removal is complimentary when booking a full-set. Please be sure to book two appointments — Lash Removal and Full-Set — together. 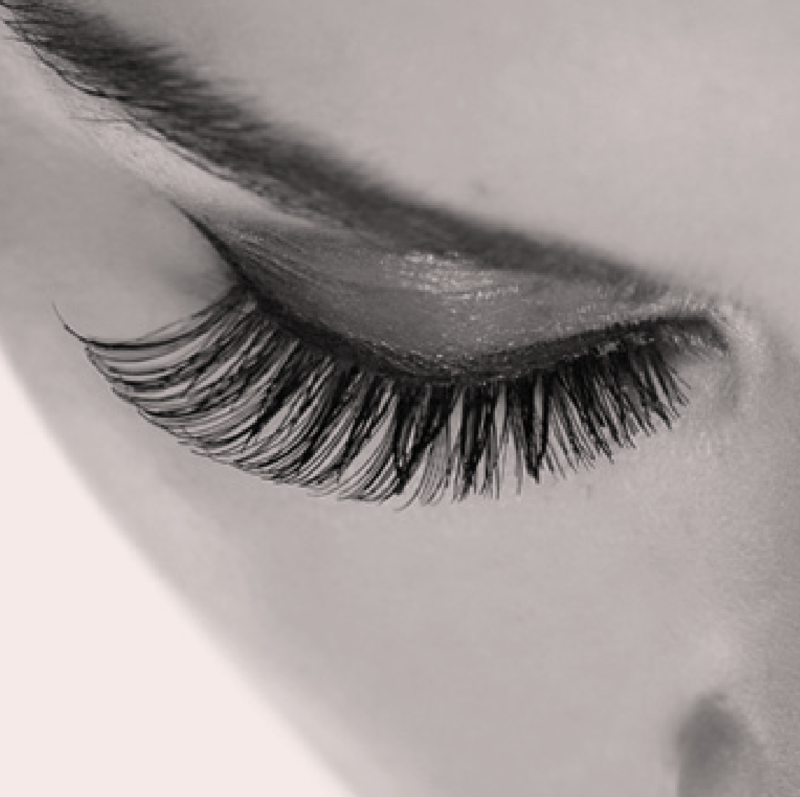 Eyelash extensions are semi - permanent silk fibers which are applied strand to strand of your natural lashes. This enhances your natural eye or can create the illusion of a different shaped eye such as a more lifted appearance, wider more open eyes. Lastly, hello! No more mascara. Classic lashes are a method where 1 lash extension is glued to 1 natural lash. This method is also known as 1 to 1 or 1:1. Classic lashes are perfect for clients who already have a lot of lashes, but want to add more length. Classic lashes look more natural. When multiple lashes are applied to one single natural eyelash individually isolating one natural eyelash at a time. Using very thin lashes. If two eyelash extensions are applied to one natural lash it’s described as 2D, if three eyelash extensions are applied to one natural eyelash then it’s described as 3D etc. This method is also known as Russian volume. The lash extensions used in this method are significantly thinner ( Usually a 0.05 diameter lash extension is used) than the lash extensions used for the classic lash method. We recommend getting a touch up every 2 to 3 weeks. If you wait too long your eyelash extensions will fall out and you will require a full set. On an average, 1 to 5 lashes shed every day. New lashes grow frequently and replace the lost ones to maintain the complete thick look. So your lashes never get damaged by extensions. The lifetime of a single eyelash ranges out between 150 to 200 days with the majority of them being shed in about 135 days. 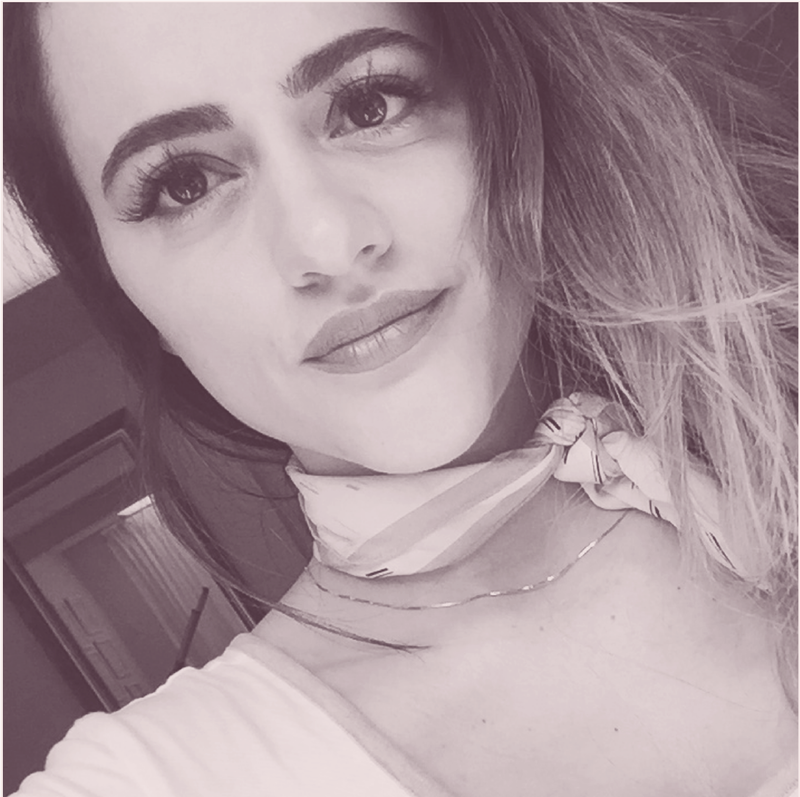 How do I care for eyelash extension after application? Keep sauna, steam room and tanning visits to a minimum as the application of constant heat and moisture weakens the adhesive bond resulting in premature lash extension loss. Cleanse your lashes and your eyelids daily to maintain healthy and beautiful lashes and lash follicles. Be careful with creams and oils around the eye area. Make sure you are using oil free make up remover. Do not use cotton balls, cotton rounds or swabs directly on the eyelashes as the fibers may get lodges in the bond areas lash extensions. We advise against the use of mascara as the purpose of the eyelash extensions is to give you the look of a flawless mascara without having to wear any. However if you require a little more pop for an evening out then NON-waterproof mascara may be used ONLY on the TIPS of your lashes. Waterproof mascara is difficult to remove and can, therefore, damage your extensions in removal. Also, it contains a chemical that may interact with the adhesive and cause it to dry out resulting in premature extensions loss. Applying even Non-water proof mascara to the base of your lashes will result in the same thing, as removal of the mascara, will cause you to rub your extensions and therefore causing the extensions to shed. Additionally applying mascara will add more weight to your natural lashes. We apply the maximum volume that your natural lashes can hold and by weighting them down with products may result in the breaking and shedding of your natural lashes causing weak areas and damage. Why wait 48 hours after application of eyelash extensions? It takes 48 hours for the adhesive to dry thoroughly and yield a strong, durable bond. During this time, the adhesive is sensitive to moisture, steam, excessive heat, cosmetic ingredients coming into contact with the adhesive bond and friction from rubbing and cleansing. Receiving irritating eye area treatments, such as strong chemical peels, skin re-surfacing procedures, eyebrow waxing or laser treatments. A lash lift is performed to create a subtle, natural looking curl. This treatment takes up to 75 minutes and the end result lasts from 4 weeks to 2 months depending on your eyelash growth cycles. We complement our Lash lift with - Lash Botox. This is achieved using a substance that is applied on to the lashes after a Lash Lift service. Lash Botox contains Argan oil, keratin and amino acids to strengthen and hydrate your lashes. In addition, it also makes your lashes look visually thicker. It’s a brilliant treatment. A Lash Lift does not require home care, neither do they damage your lashes or impair the growth cycle. The only thing you need to do is keep your lashes dry for 24 hours after your service. After 24 hour, you can wear mascara if you wish. Lash Society uses Square Card Reader and accepts all major credit cards and cash. By scheduling your appointment you are agreeing to pay full amount of service and any existing, cancellation or missed appointment fees. We do not offer refunds, credits, discounts or exchanges for services rendered. Don’t we all wish that there wasn’t any traffic or meetings that ran longer than we expected? Although, we do understand that life happens. We may have a client after you. We will do the best to accommodate you in the time we have. You will be responsible for your full appointment service. Please take in considerations anything that may delay you from being late. We strive to accommodate our clients to the best of our ability. All of our appointment confirmations are sent via email, and text. Please honor your appointment, if you must cancel or reschedule please do so at least 48 hours before your appointment time to avoid a cancellation fee. A $50 cancellation fee will be charged to clients for each appointment that is cancelled less than 48 hours before the appointment day. Cancellation fee will automatically be added to your next appointment service. The easiest and quickest way to cancel or reschedule is through your email confirmation or text link you received. Scroll to the bottom of your confirmation and click on cancel or reschedule. If you try to cancel or reschedule after 48 hours from your appointment date it will not allow you to. You must call us to cancel for you. No-shows will be billed next time client comes in for the FULL service amount for their missed appointment. And of course, if your not feeling well or an emergency as come up. Don't worry. It's okay- just give us a call and let us know. We will take care of you. Lash Society will no longer be able to add lash extensions to clients who have them from a different salon. Trying to add eyelash extensions on previous work that is not our own proves to be difficult and time consuming. Healthy and beautiful lash extensions come with using the same lash artist. We will be happy to provide a complimentary lash extension removal with the booking of a full set. Please remember to book your removal and full set together. We can’t wait to meet you! Is it a fill or full set? Due to safety and liability considerations, children may not accompany you to your appointment. We cannot assure their safety when we are lashing you. Plus, it’s no fun for the kids. We ask that you pretty please put your cell phone on silent. Most of our clients love to take naps. We like being able to create a relaxing escape from your daily life. Please, no talking on the phone, or watching videos in the waiting area. Please, take responsibility for the energy you bring into this space. This is where we are passionate about what we do. We love our clients and the harmonious- loving space we have created here. By booking an appointment you are agreeing to have read all the listed policies. Due to high demand, full sets will require a credit card on file. Full price of service will be charged if clients no show. Erika is an artiste. She takes a good long look at your face and eye shape. She takes time to listen to your wants and needs, the look you like, then performs magic! Her precision and technique has evolved since 2013. Uvania (also known as UV) is a Washington State native. Living in Seattle for the last 8 years has only inspired her pursuit in the beauty and art industry. 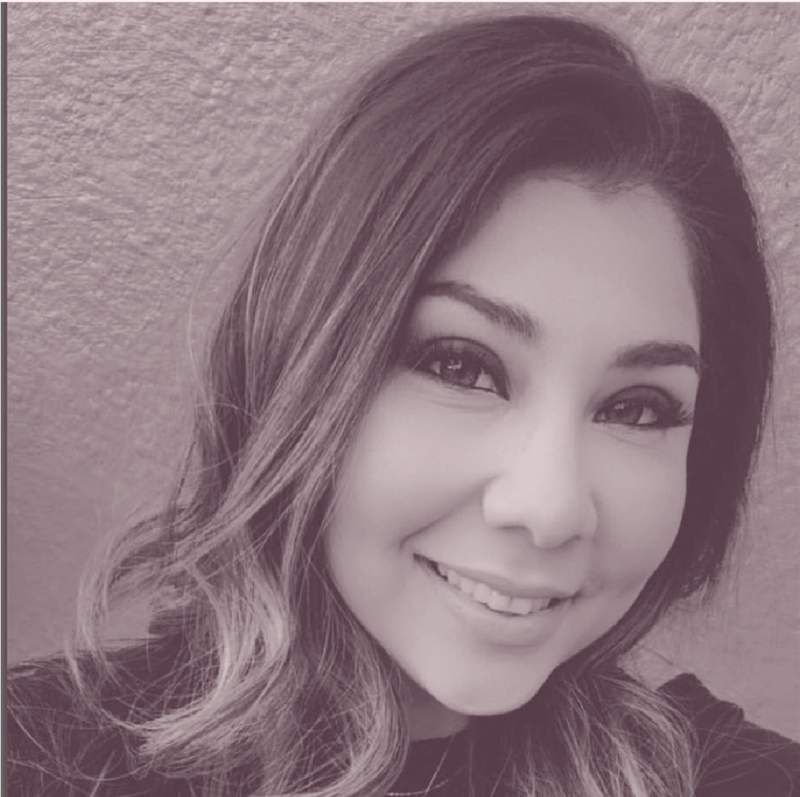 She brings 15+ years of experience in the hospitality industry, free-lancing for Mac Cosmetics and now new to Mastering Microblading! When she isn't creating beautiful brows, you can find her cuddled up with Benjamin, her French Bulldog or making you laugh. She is here to change lives, one brow at a time! 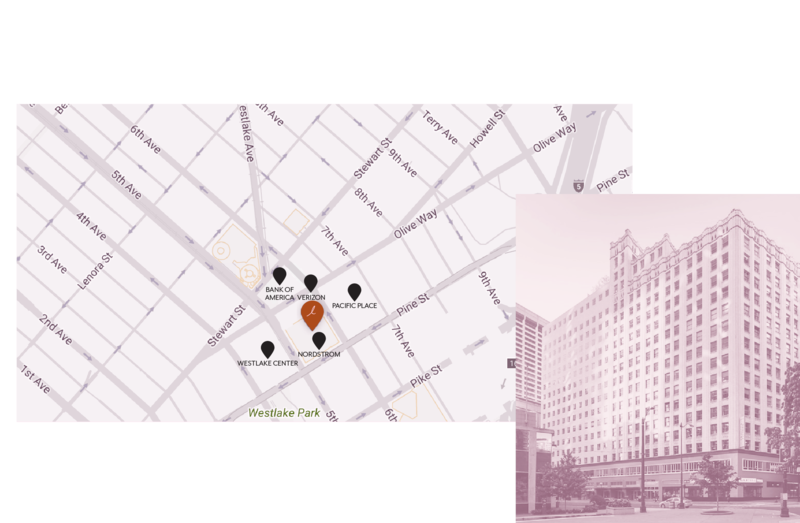 Lash Society is a locally owned business in downtown Seattle. We practice industry standards in safety. We are Washington state licensed esthetician with several years of experience in the spa and lash industry. We use all USA products. Our lash artist tailor to each individual client by having a customized consultation. We create our vision on your lifestyle, eye shape, natural lashes and your desired look. We focus on building personal connection with each person even if that means you drifting off to our soothing music and aromatherapy transporting you into a Zen like experience. Our Mission is to provide each client with a low- maintenance beauty routine, a simplified lifestyle and a new definition of confidence. 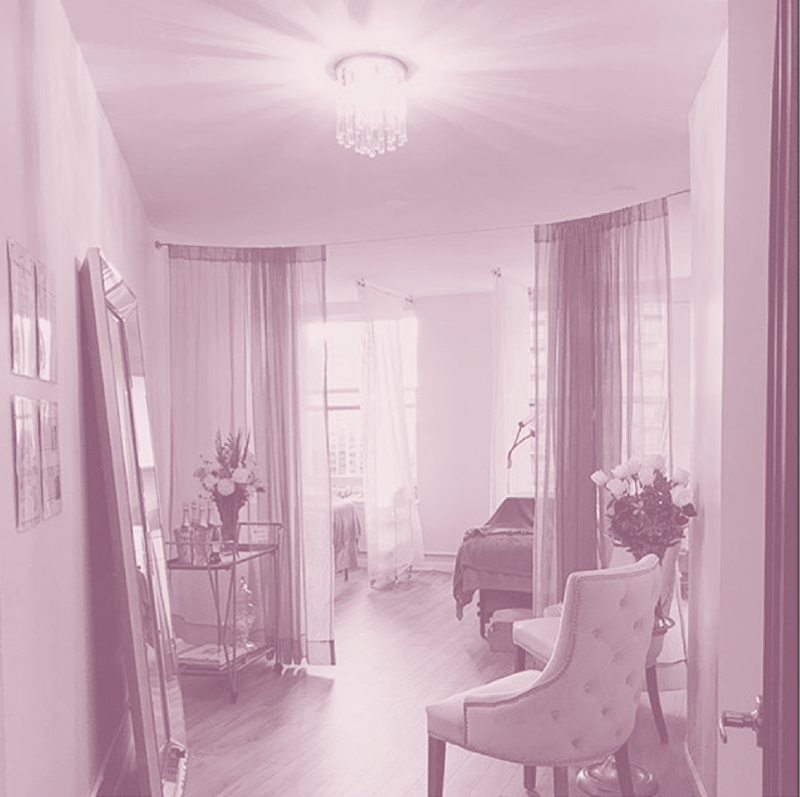 We treat every client like a special guest by creating a relaxing, glamourous escape from daily life. Lash Society got started because of so many amazing women. Your inspiration is everywhere when I see you rushing to work, when your waiting for your coffee, and when you’re standing in the rain waiting for the bus. You look great! Thank you, to all the women who inspire and spread good energy in this world. We are delighted to provide this cozy lash getaway while you rest your worries away. Lash Society © 2018 All Rights Reserved.